Despatched fresh and pin boned. 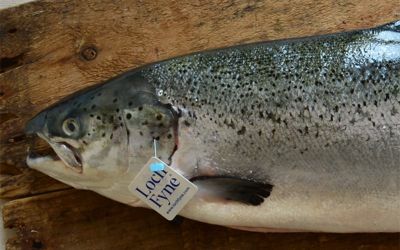 Scottish Farmed SALMON (FISH) (Salmo salar) 100%. Store in a refrigerator at 0° to 4° C. Do not exceed the use by date. Home Freezing: Freeze on day of purchase and use within three months of freezing. Defrost overnight in a refrigerator and consume within 24 hours. Once defrosted do not refreeze.